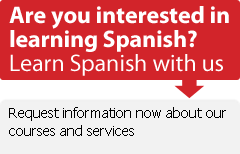 » Previous Article: Special UK meeting about Spanish Language Courses! The State Educational Loan Fund (Lånekassen) may grant a language grant of up to NOK 15 000 to students who participate in language courses that last for at least four weeks, with a minimum of 15 classes per week. Under the condition that the language course is taken shortly before the student starts their degree programme, in the same language and country, and that the student is eligible for financial support from Lånekassen for this education. Check out http://www.lanekassen.no/ for more information, about the grants! !